The Dodgers officially added Trevor Oaks and Dennis Santana to the 40-man roster on Monday night, protecting them from December’s Rule 5 Draft. Earlier in the day, I wrote the Dodgers should do just that. But for that to happen, the Dodgers had to create two slots on the 40-man roster, so I looked at guys who could potentially be designated for assignment/released and/or traded. Josh Ravin was one of those guys. He was designated for assignment before being traded to the Braves for cash considerations. While he has good stuff, he hasn’t been able to put it together in his time at the Major League level. 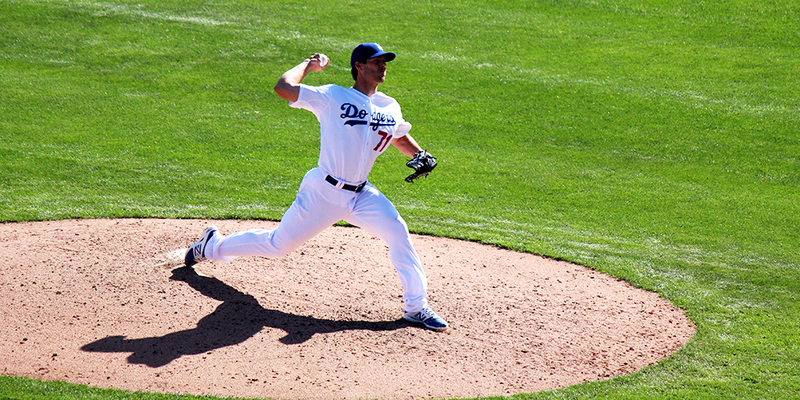 In 35 2/3 innings with the Dodgers, Ravin had a strong 28.8 strikeout percentage, but that came with a high walk percentage (11.1) and some hard contact allowed (42.9 percent). That all led to a 5.05 ERA and 5.20 FIP. He also had the 80-game performance-enhancing drug suspension in Spring Training 2016 that didn’t do him any favors. Ravin was expendable and one of the most likely players who wouldn’t make it through the winter on the roster. This was no big loss. The more surprising move was when Grant Dayton was claimed on waivers by the Braves. Dayton had Tommy John surgery at the end of August, which means he is going to miss the entire 2018 season. 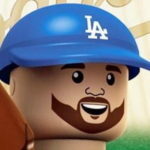 Still, the Dodgers thought they could sneak him through and stash him on the 60-day DL or Minor League DL in the spring. Since there is no 60-day DL in the winter, the Dodgers took a (small) risk by exposing him to waivers, and former Dodger front office member Alex Anthopoulos didn’t miss a chance to grab a future potential quality reliever for Atlanta. Dayton, acquired from the Marlins for 2011 1st-rounder Chris Reed, dominated the minors with the Dodgers. He was one of the more reliable bullpen arms for the Dodgers in 2016. In his first 26 1/3 innings, he had a 2.05 ERA, 2.96 FIP, a 38.6 K% and just a 5.9 BB%. He was so impressive I ranked him at No. 10 in my 2017 Top 100 Prospects. In hindsight, that looks bad. Things were looking good for him, but the 29-year-old had a nightmare season in 2017 that culminated with Tommy John surgery. He never got on track and posted a 4.94 ERA, 5.74 FIP, 19.6 K% and 11.8 BB%. He also saw his hard contact percentage increase almost 20 percent from last season, while his fastball velocity dipped by 1.3 MPH. Dayton still had lots of team control remaining, even if one of those years was going to be spent recovering from surgery. It was a little surprising to see the Dodgers let Dayton go, but like Ravin, it’s really not that big a deal. On the other end of things, the Dodgers added two young, fresh arms to the roster. Oaks, whose signature pitch is a power sinker, should see time in the majors at some point this season. He probably would have made his debut in 2017 if not for an oblique injury that cost him almost six weeks of game time. Santana is a darkhorse to see time in LA in 2018. He has a good fastball (sinker)/slider combination that could be enticing out of the bullpen. But the Dodgers will continue to develop him as a starter, mostly because he’s young (22), hasn’t been pitching long (was signed as a shortstop at age 17) and saw his changeup improve and show glimpses of being a usable pitch toward the end of the season. The Dodgers’ 40-man roster is still full. These 40 guys won’t be the 40 who begin the season with the team, as there will be plenty of moves made (not necessarily big ones, but moves nonetheless). Oh, and apropos of nothing, we should hear whether Shohei Ohtani will be posted today. At least, we should, as the MLBPA and NPB agreed to extend negotiations over the new posting system to 5 PM PST. It’s not a hard deadline, so this might drag on for another day. But I expect they want to get things settled before Thanksgiving, because who really wants to work then?